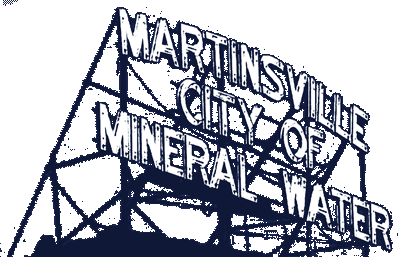 Martinsville Fire Chief Terry Anderson reminds motorists it is illegal to drive over fire hoses that may be placed on streets during an emergency or any other time. On Saturday, January 28, 2017 firefighters were doing initial set up to fight a fire in an attached garage on East Pike Street. After firefighters had placed a water supply hose across East Harrison to supply water to a fire engine, two passing motorists — one of whom was identified — drove across the water supply line. “This hose is used to get water from a fire hydrant to the fire truck. By driving across this hose line firefighters were placed at risk. The hose may become damaged and fail. A surge in the water from driving across a charged hose may cause damage to the water system and /or the fire truck pump, therefore risking firefighters’ safety. “This action can be very costly to all concerned. The cost of a traffic violation ticket will be minimal compared to the cost of repairing or replacing expensive fire equipment. But none of this will matter if we are faced with an injury or death to either a civilian or a firefighter who was simply trying to do his or her job,” Anderson said.